 Foam gaskets for electrical outlets can lower your energy bill quickly, Holland Residential Energy Advisor Ken Freestone said. Seal leaks around doors and windows, too.  Fans are an economical way of cooling off or circulating air, but they don’t make the room itself cooler, so they should be turned off when no one is there to enjoy them. Ceiling fans should blow down in the summer to cool and up in the winter to circulate air. 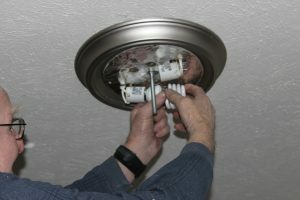  Holland Board of Public Works customers can receive free LED bulbs at one of its giveaways. The next one is Oct. 12; check the BPW’s Facebook page for details. The BPWalso offers rebates for LEDs, energy efficient appliances and other energy-saving purchases (hollandbpw.com/my-home/energy-efficiency-programs-and-rebates).  Spending a little more for a programmable or smart thermostat will help control energy use.  Change furnace filters every month and get a tune-up at least once a year. Preventative maintenance is much cheaper than repairs. It also keeps your furnace running efficiently, lowering monthly heating bills. 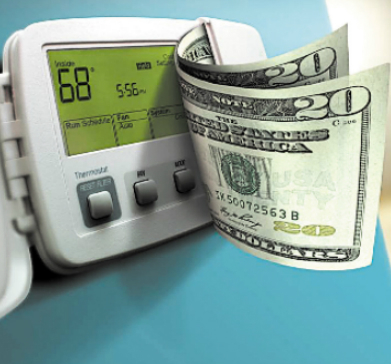 SEMCO offers a $50 rebate for boiler or furnace tune-ups. 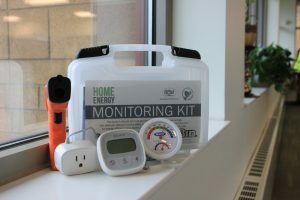  Check out a free energy evaluation kit from Herrick District Library or Van Wylen Library. Each kit contains simple technology and instructions to measure your home’s humidity and energy usage and an infrared thermometer to find energy leaks. 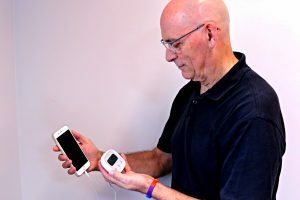 Learn more about doing all that at Living Sustainably Along the Lakeshore’s next event, “Comfort, Health, and Savings: Smart Energy at Home.” It begins 6 p.m. Oct. 9 at the Holland Energy Park with an expo, with the program at 6:30. Space is limited so registration at http://bit.ly/LSATLenergyevent is required.  Andrea Goodell is community relations associate at Herrick District Library. Herrick is one of the founding members of the series. Where: The Holland Energy Park, 1 Energy Park Way, Holland.